We live in a world that increasingly demands consideration of safety and security. Establishing safe and secure working environments is a vital concern for a growing number of business owners and managers. An office relocation invariably brings these security issues to the forefront of safety planning efforts. Most people are unaware that a security program can include many interrelated elements, which together can create a safe and secure office environment. 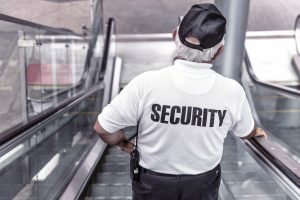 Security programs can include security guards to control parking and visitor processing, workplace safety and security policies, application of security technology such as interior alarms, card or keypad access, and video surveillance. In addition to this, safety communications media and a manned central control station to assess alarms and direct a response, security operations facilities such as guard enclosures and visitor reception booths, and information management and reporting of security incidents are necessary. Move coordinators should consider the feasibility of including any one or all of these security elements in their office relocation planning efforts. The integrated approach to security planning involves consideration of site selection, an assessment of security needs, working with a developer or security vendor to design a responsive security program, and the necessary training and implementation measures prior to occupying the new location. Office safety and security should play a vital role in selecting your new location. Each potential location needs to be assessed in terms of the relative safety and security of the environment in which the office will be located. Most police departments will provide assistance in this regard through an assessment request made to the local police department crime prevention unit. An officer should be able to advise you of the general safety of the new location based on their records of past criminal activity in and around the site under consideration. This checklist tells you step-by-step what to consider for your office security. Get Your Free Security Checklist! In cases where site risk and security information is not available through the local police department, a crime vulnerability assessment of the potential office location can be obtained through a thorough online research or with the help of an outside company like CAP Index, a service headquartered in Exton, PA. This simple safety report can accurately identify the risk of personal and property crime compared to the national and local average for any street location in the US, UK and Canada based on demographic data as well as police reports, victim reports, and loss reports. This information not only aids in site selection, but it can also assist you in designing a security system based on the actual crime risk presented for the chosen site before the office relocation. Based on the potential outside threats enumerated in your site assessment, you will also need to perform a basic business risk assessment for the security of your own operation. This entails an identification of critical assets the company has that need protection. Normally, these include employees and visitors, material assets such as computer and office machinery, financial information and personnel records, proprietary or trade secret information such as client lists or corporate strategies, raw materials storage, finished product inventory, and the actual facility structure itself. One frequently overlooked aspect is the damage to company reputation or good will in the community that would result from a critical loss. Armed with your listing of critical company assets and potential threats or risk of loss, you are now ready to discuss your desired office security system objectives with either the building owners’ security representative or your own outside security vendor. 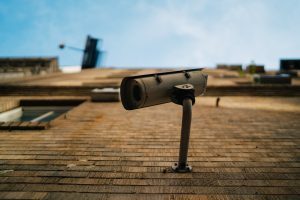 If your new office already has a security system installed, you will need to assess with the owner or vendor whether the existing facility security measures are sufficient to satisfy your company’s protection and safety requirements. If you need to select a security vendor to design and install your system, obtain recommendations for at least three local security dealers who have the experience and trained personnel in designing, installing, and maintaining systems for the safety of your type of office environment. Invite each vendor in to perform a survey and to provide a written proposal for security measures they would recommend for your work environment. Be sure to ask for their proposed layout of recommended security systems to include measures for parking lot and internal security such as lighting and video surveillance, access control measures such as card or keypad access for employee entrances and internal restricted areas, intrusion detection devices, and interior motion detectors for interior corridors and office spaces. Based on your office operation, determine alarm systems that will be armed at the close of business and accessed at opening of the office in the morning. Ask the vendor to provide a listing of recommended equipment type, unit cost, quantity and extended cost for each safety subsystem. Also make sure that the vendor verifies that all the equipment for fire or security is appropriately inspected by either Underwriters Laboratories (UL), Factory Mutual (FM), or the National Fire Protection Association (NFPA) and that the company is approved for UL systems installation. Ensure that your vendor’s quotes includes installation, warranty provisions, monthly monitoring fees if applicable, and a follow-on service quote to take after the warranty has expired. Some reputable dealers may offer central workstation monitoring office security services along with their safety systems. If so, check if the after-hours response to your system alarms will be accomplished by the local police or by a vendor response vehicle situated in the immediate area. If your alarms can be transmitted directly to the local police for response, determine possible cases for unnecessary false alarms and discuss these with your vendor thinking in terms of selected equipment, reliability and installation certification. 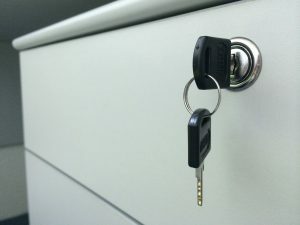 Immediately prior to the office relocation, ensure employees are informed of the new office security system measures and that they are properly trained to use the system activation and deactivation features. Consider complementing your office security system with a safety and security awareness program which will allow an opportunity to explain the importance of security measures to your business and to obtain feedback and ideas for improving security for your employees. This security awareness program will stimulate employees to be more comfortable in recognizing safety measures and will communicate to them that they are valued as part of the organization. Security is key for your new office location, but so are the right voice and data system, the best furniture, and the perfect design team. Don’t leave a single aspect out of your move.